Black and white picture with John F. Kennedy and his wife during the fundraising of the Democrats. Will this iconic picture soon be hanging on your wall? This famous picture was taken in 1960 during the fundraising dinner of the Democrats. John F. Kennedy held his first speech on national television this evening as a nominee. 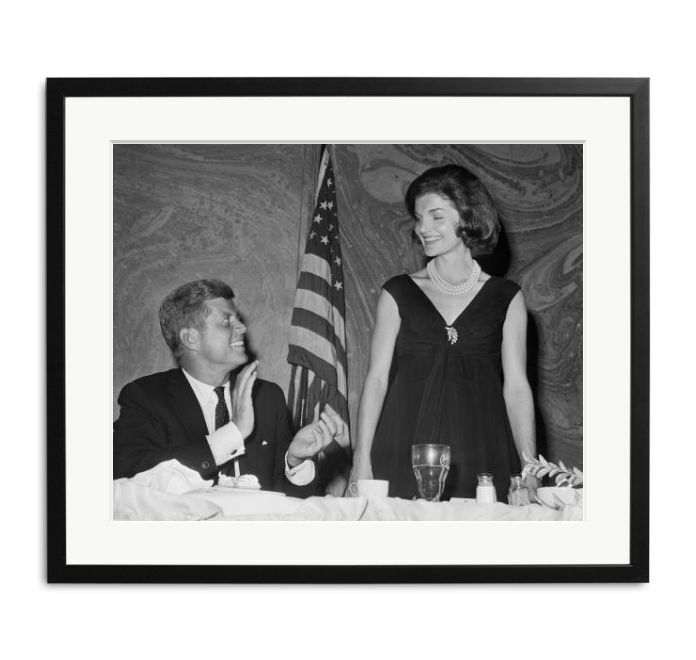 Together with his wife Jackie Kennedy the photographer Bettmann has portrayed the couple. This image of her is professionally printed on special Fuji Crystal Archive Paper, which is also used by professional photographers. The beautiful frame with passe-partout provides the finishing touch! 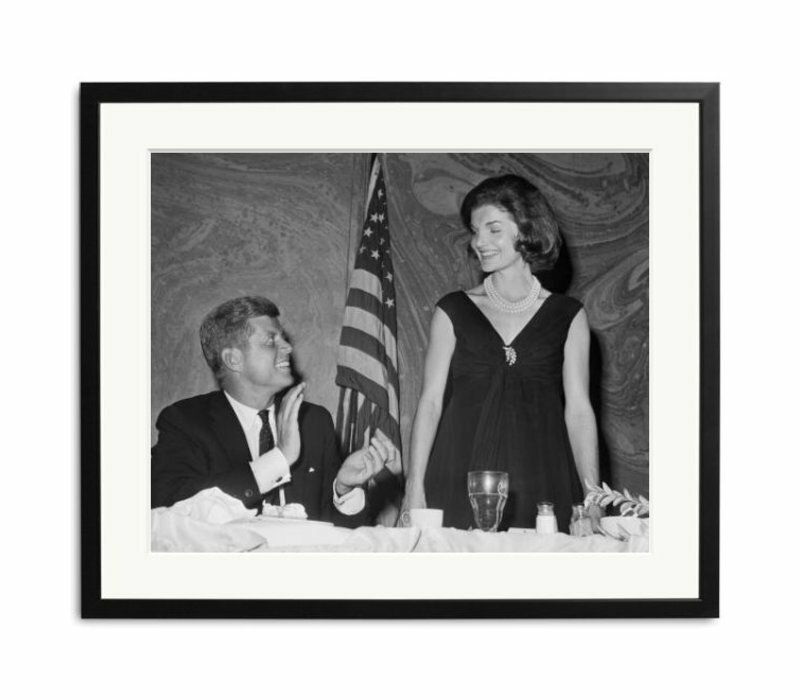 John F. Kennedy and his wife Jackie cannot be missed in the wall decoration collection of Wilhelmina Designs. These celebrities are contemporary style icons who give your interior a luxurious and international look. This print comes from a limited edition of 496 pieces, therefore your piece is exclusively numbered!